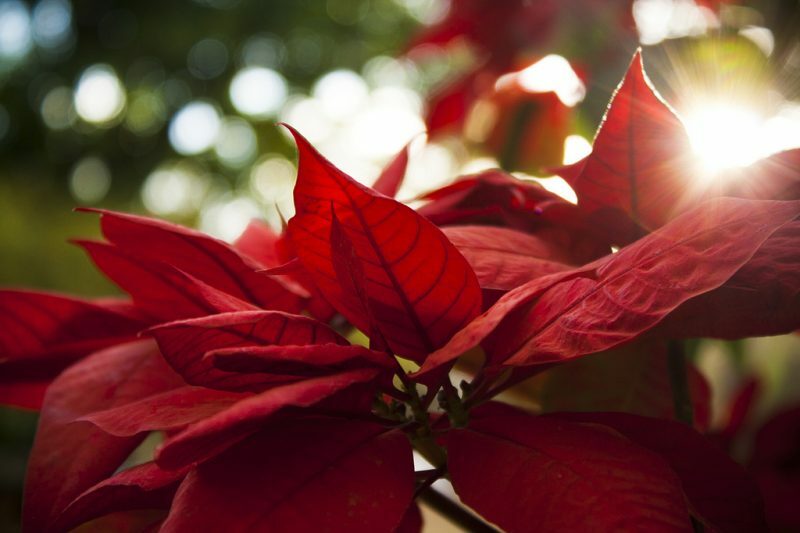 Red poinsettias are popular potted plants, particularly around the Christmas season; photo by Guilherme Cardoso, CC BY-NC 2.0. Christmas festivities in Trinidad and Tobago are a magical mix of family, friends, food and fun, all brought together by one key ingredient — music! Forget Jingle Bells and Santa Claus coming to town; local yuletide favourites, from traditional ballads to soca parang, are full of Caribbean flavour. Here are our picks (in no particular order) for some of the season’s most original tunes. Without them, well … it just wouldn’t be a Trini Christmas! This is perhaps the most iconic Trinbagonian Christmas song ever. From the time the grand master of calypso belts out “Mooma, mooma…” we all feel like joining her “sonny” in the mother country, harsh winter be damned! Kitchener, widely considered to be the greatest calypsonian of the post-war era, perfectly captures the alienation that the Windrush generation must have experienced — especially at Christmas — and deftly allows them to overcome it by holding fast to cherished cultural traditions: “Drink a rum and a punch a crema, drink a rum … no time for shivering!” Even against the backdrop of a cold, grey London Christmas, this song will warm your heart. Trinidad’s very own version of Frank Sinatra, Hutcheon’s melodic crooning brings to mind everything that is unique about celebrating Christmas in our part of the world: between red poinsettias and pitch oil tins, the song is sweetly nostalgic for old-time Trinidad, and captures the magic of the holiday as seen through the eyes of a child. It’s a wonderfully romantic staple that will have you swaying as you start your Christmas preparations. This colourful group is to parang music what The Beatles were to the pop/rock genre. The song’s Spanish title means “bagpipes”, but this is not the sound of the Scottish Great Highland. Instead, the lively string instruments (cuatro and guitar) draw the listener in, while the claves (known as the “toc toc”) and the Indigenous box bass that define parang, steadily hold the folksy beat of this Amerindian, Latin American and African hybrid. Even if you can’t understand a word of Spanish, the brilliance of the instrumentation will captivate you. The distinctive guitar riff that introduces this song will put even the Grinch in a happy mood. Francine gets right down to the reason for the season: “Hurray, hurray, hurrah, hurrah, hurrah they say, our Saviour is born today.” Quite apart from Francine’s saccharine voice, the genius of this tune is that its religious message is put to a beat that beckons you to dance, making it quintessentially Trinbagonian. Not to be confused with Singing Francine’s offering, this is the Queen of parang at her best. Voisin’s syrupy yet commanding voice takes control and steers the song exactly where it needs to go. Her Spanish is flawless, her joy palpable. When she chimes in with her signature “Ohhhhhhhhhhh…”, a penetrating note that lingers over the steady percussion and vocal hoots in the background, you wonder how there was ever Christmas without the exuberance of parang music. Whether it’s the haunting minor chords and chiming church bells, the richness of Grey’s voice or the imagery of a Caribbean Christmas, this is undoubtedly a favourite. It’s a tune in which the Christmas message shines through everyday yuletide routines — laughing children tugging at “Mr. Santa”, the smells emanating from the kitchen, presents and presence — making the song one of the most requested of the season. The anticipation many Trinis feel about Christmas is what fuels this bouncy refrain from Scrunter, a calypsonian who happens to be really great at the soca/parang hybrid. What does he want for Christmas? “A piece ah pork”, plain and simple. No manicou, no callaloo, just give the man his ham. Interestingly, though this song deals with specifics, it’s really about the sense of camaraderie, sharing and goodwill that happens at Christmas time. This quirky, groovy little number immediately hooks the kids — and the adults get some giggles, too. Told from the point of view of Oscar the Grouch, he’s fighting the Christmas spirit tooth and nail: “There’s no jolly good ol’ Santa, you can take this tip from Oscar, there’s no Christmas on Sesame Street.” After all, not everyone’s into Christmas, and this is one of the few songs that makes it okay to be grumpy (even though by the end, Oscar comes around). Relator’s other noteworthy Christmas contributions include “Christmas is Yours, Christmas is Mine”, and “Bottle and Spoon” — an ode to the unassuming “instrument” that gives parang (and other forms of Caribbean music) its accessibility and by extension, its heart. Baron also pays homage to parang in another seasonal favourite, “Come Go”, in which he attempts to share his love of the music with his significant other until they both get swept away. This song refutes the “White Christmas” trope that has permeated popular culture’s narrative of the yuletide season. “There’s no snow falling, no chestnuts roasting, no fire glowing in the house”, the song begins, then goes on to explain that Christmas is wherever you “feel at home”. The message is that love and belonging are at the heart of the holiday. An ode to the songwriter’s childhood Christmas memories, it’s full of hope, joy and gratitude … and isn’t that what Christmas is really all about? Editor’s note: A version of this article was first published here and subsequently adapted for Global Voices.